The Giants lost. The Dodgers won. Madison Bumgarner blew snotrockets in enemy territory. The Fox Network broadcasting team waxed rhapsodic over the Dodgers and got a lot of things wrong. Sigh. L, 6.0 IP, 5 H, 3 R, 3 ER, 4 BB (1 IBB), 3 K, 2 HR, 3 SNR (snotrockets): 0 vs. lefties, 3 vs. righties, 0 other. 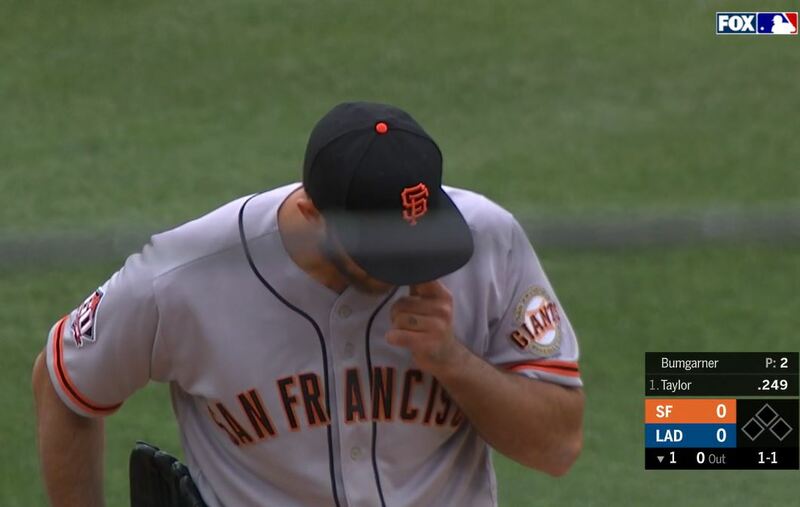 Madison Bumgarner’s most prolific inning was the 3rd in which he blew 2 snotrockets. All three of Bumgarner’s snotrockets tonight came while facing Dodgers RHB Chris Taylor. 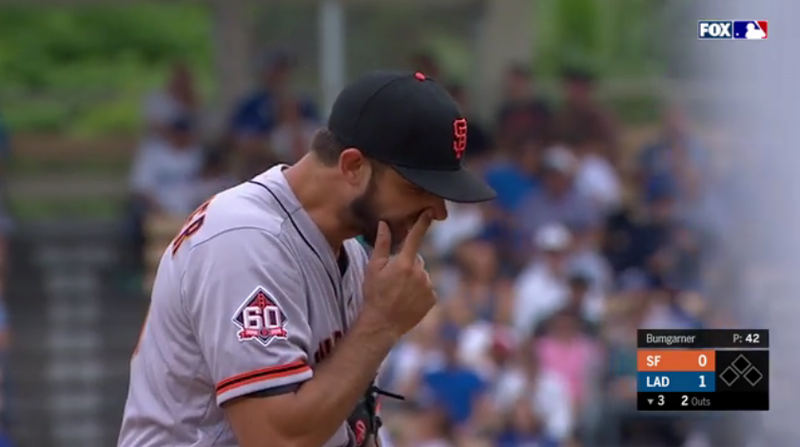 Bumgarner now with 9 snotrockets in the 2018 season. 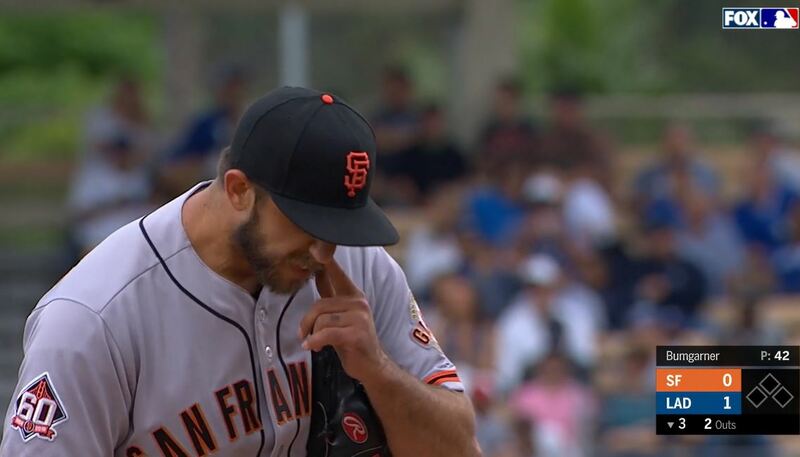 Madison Bumgarner’s next start should be this Friday, June 22, 2018 at home vs. the San Diego Padres. See you here or on Twitter for all the exciting Bumgarner snotrocket action.